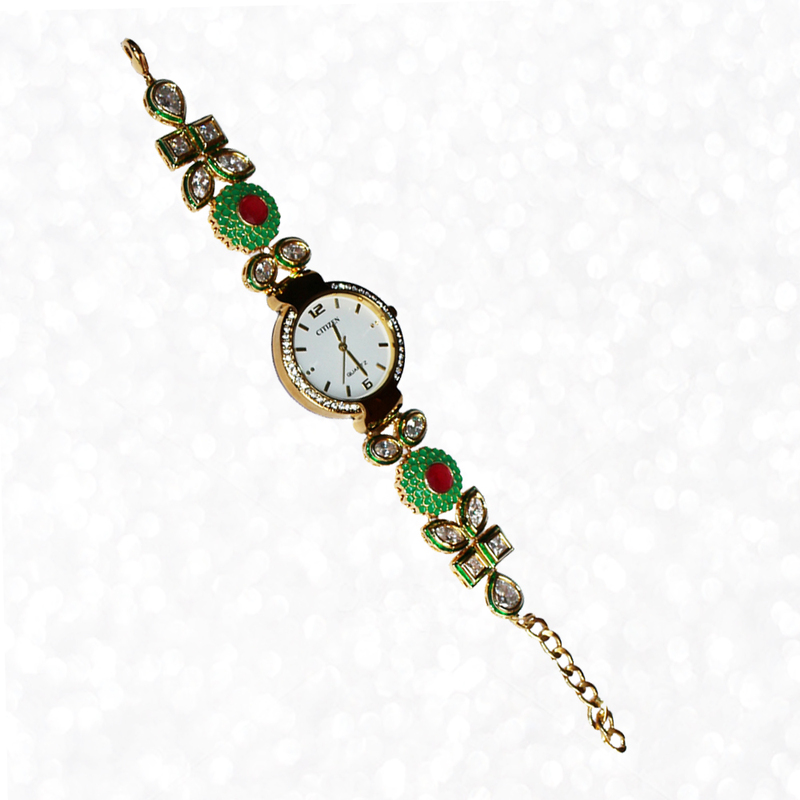 This Round Shaped Dialer allergy free gold polished Wrist Watch with Gemstones and Kundan Work is bound to impress lovers of ethnic design work with Read More..its Kundan work, as well as, the presence of stones studding the body. Thus, the presence of the likes of Zircon, CZ ruby, and CZ emerald stone adds to the splendor of this exquisite dialer wrist watch. Show Less..